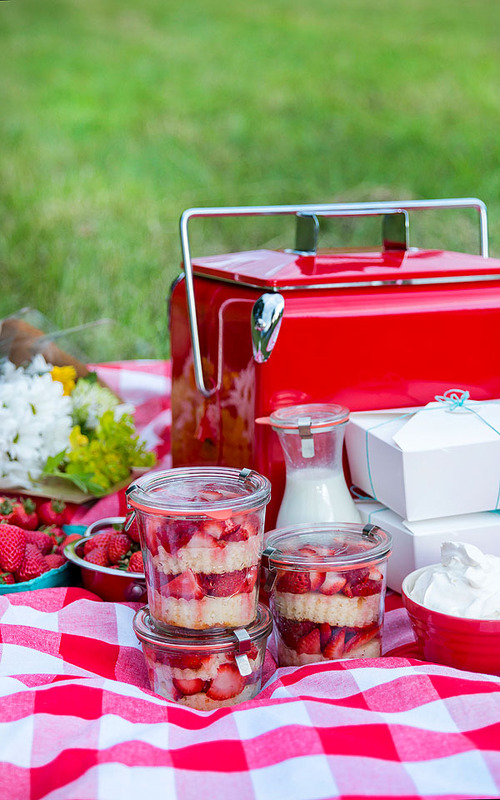 Strawberry shortcake is the ultimate summer dessert. 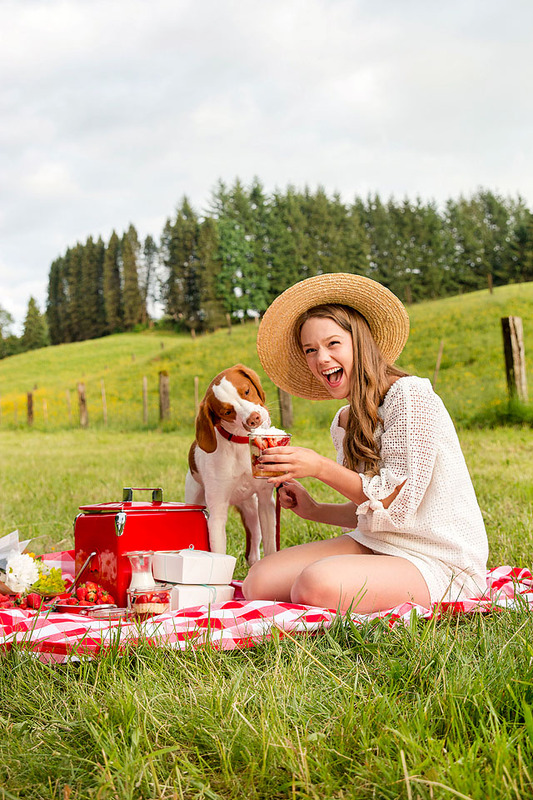 Not only will it bring back memories of summers past, but it is a real crowd pleaser. 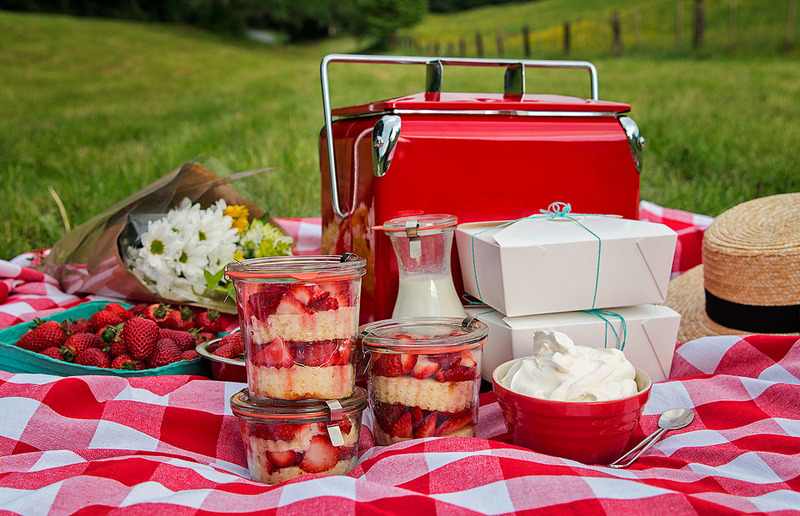 Sweet strawberries and cake is a simple flavor combination, and it is certainly a good one! The addition of lemon to the berries gives it a tangy twist. Not a fan of strawberries? How can that be?! But don’t worry, because you can substitute any berries in this dessert. 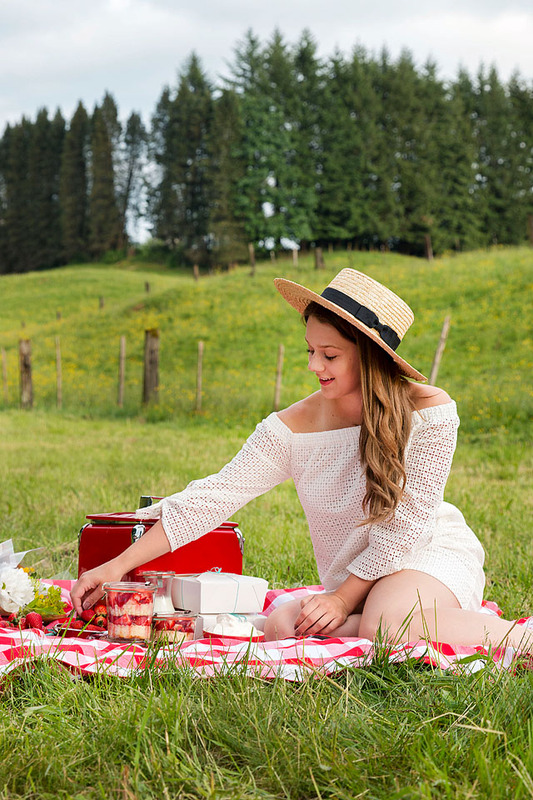 Try to find farm fresh berries because they are always more tasty and juicy. 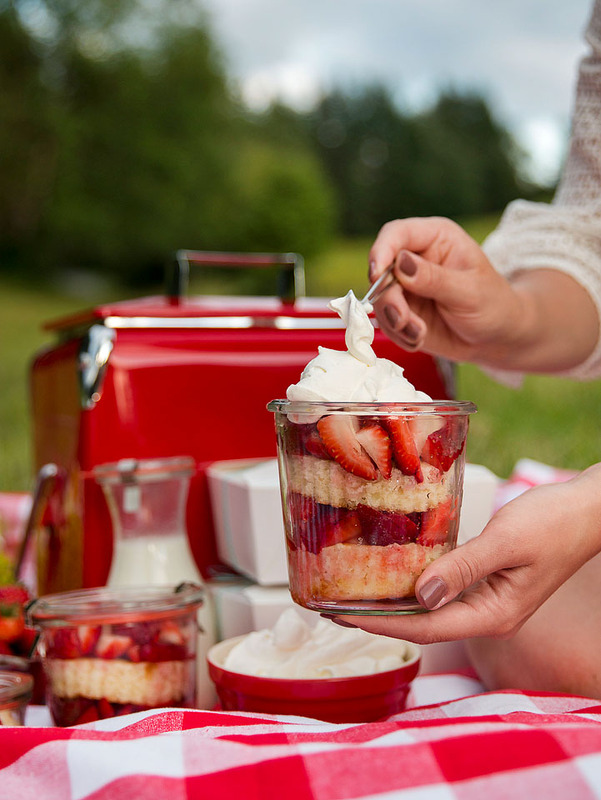 Strawberry shortcake is just another reason to love berry season! 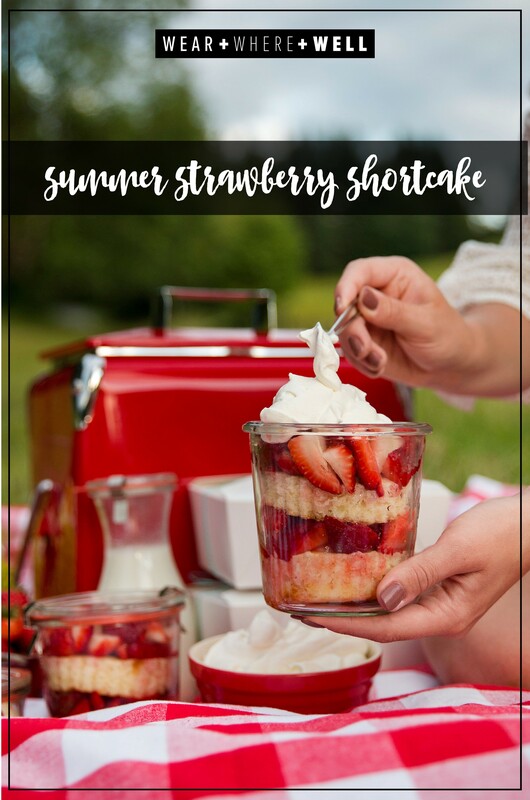 This strawberry shortcake recipe is perfect for a summer picnic or BBQ. If transporting your dessert, pack the whipped cream separately and add just before serving. In a bowl whisk together flour, cornstarch, baking soda and baking powder until mixed and set aside. In the bowl of a mixer combine butter and sugar. Mix until fluffy. Mix in the eggs one at a time. Add 1/3 of the flour mixture and mix just until combined. Add in ½ of the sour cream and mix just until combined. Repeat with flour and sour cream once more then end by mixing in last 1/3 of the flour mixture and mixing just until combined. Pour batter into the prepared baking sheet and spread evenly. Bake about 20 minutes. Remove from oven, cool completely and then cut into rounds using a cup or cookie cutter. In a bowl, mix together the strawberries and sugar. Add the lemon juice, mix well and let sit for about 20 minutes. 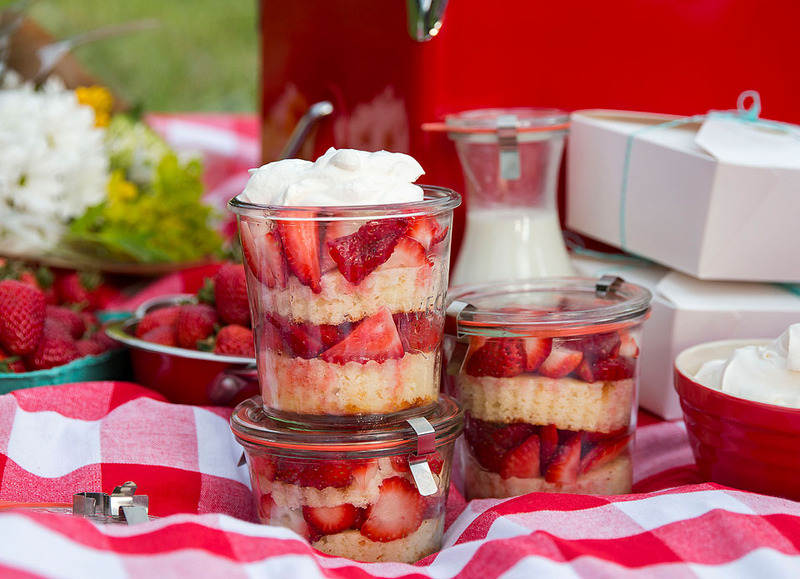 Layer the cake rounds and strawberries into cups or jars. Layer until full to top and then top with whipped cream. Sounds delicious, right? And trust me, it is! 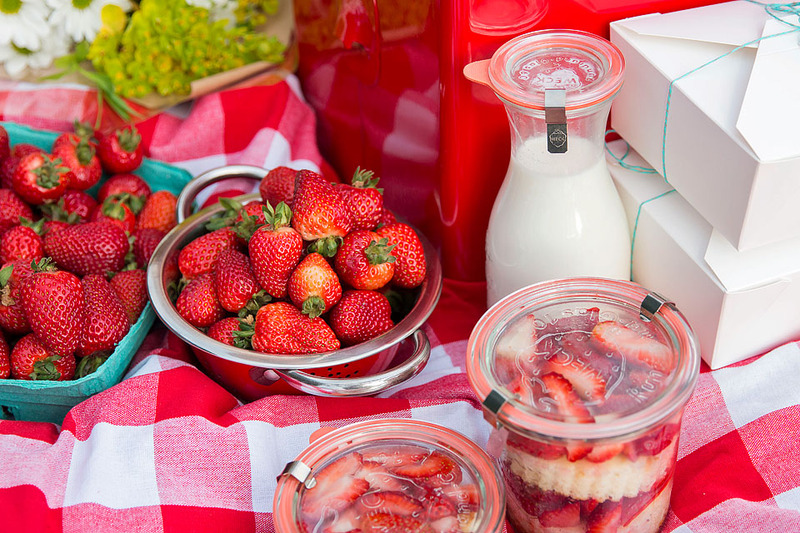 It’s truly the perfect summertime sweet treat. Let us know in the comments below if you end up making it, and enjoy!